The crash happened at Mateny Road and Great Seneca Highway Thursday afternoon. GERMANTOWN, Md. — Several people were injured after a multi-vehicle crash involving a school bus in Montgomery County Thursday afternoon. Crews were called around 2:45 p.m. Thursday to Mateny Road and Great Seneca Highway after multiple vehicles, including school bus, collided. 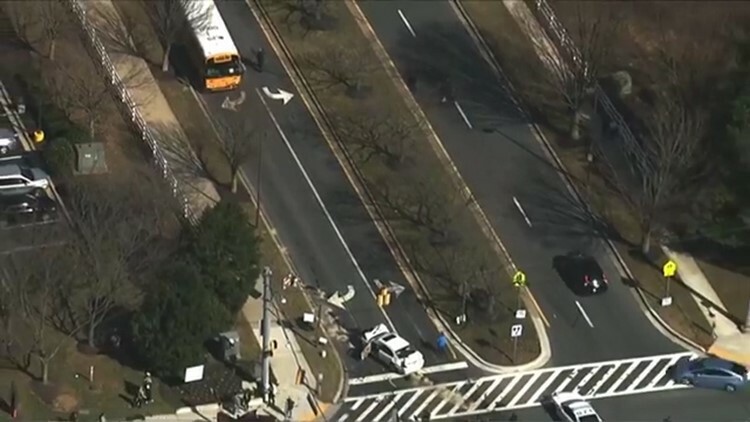 Aerial shots from WUSA9's helicopter showed a white sedan vehicle with significant damage to the front. Several people are being evaluated for non-life-threatening injuries. It’s unclear what caused the crash.